Always know your cockpit before you fly. 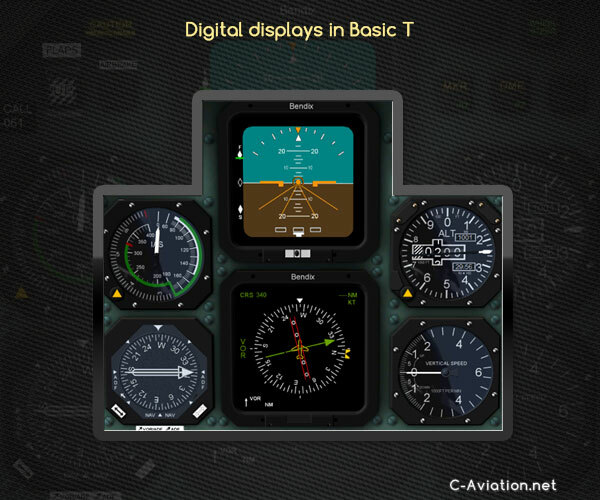 In this part I describe cockpit layout and show how some planes differ from others. Small planes that are meant to be flown by a single pilot have an asymmetric cockpit layout with most important instruments placed in front of the pilot and other moved to the middle and the right side. 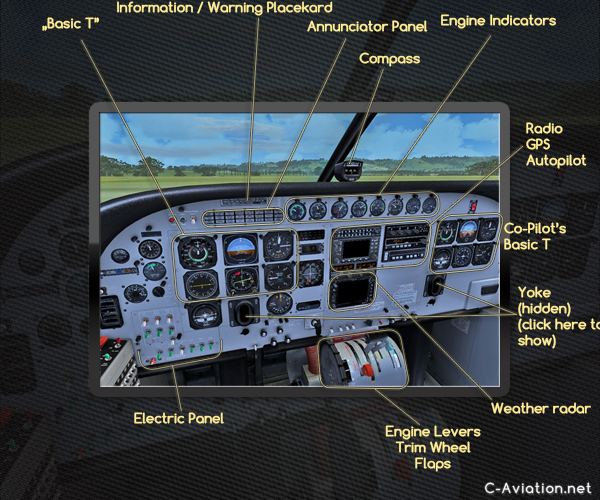 Let’s take this Beech Baron (FSX – default) as an example. 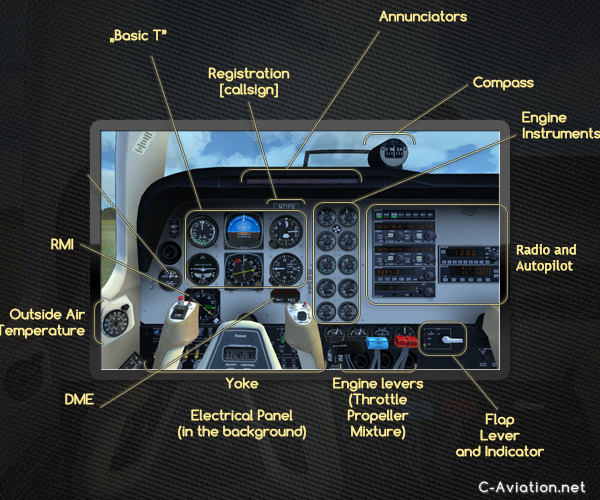 Although it has dual controls, it features only a single set of flight instruments. 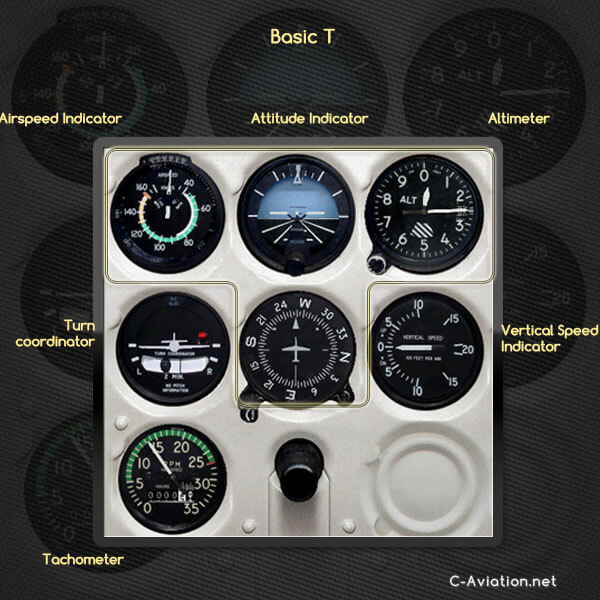 Cessna 208B (above) has full dual set of instruments. Two remaining instruments in lower corners may change. 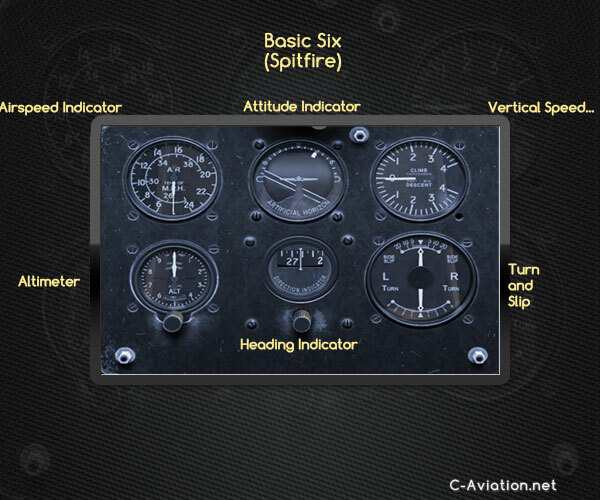 Although it’s common practice to place vertical speed indicator in lower right corner so the only instrument that actually changes is located in lower left corner – it’s usually a turn coordinator or some kind of radio navigation instrument (RMI or ADI) when turn indicator is mounted in attitude indicator (take a look at C-130 and PC-9 layouts). Often 6 gauge layout is even further expanded into 8 or 9 gauge set. How to look at gauges? When flying visually pilot should spend 90% of time looking out of his plane – keeping eye for traffic and maintaining position (attitude, heading) by outside reference. The situation is completely different in instrument flight. Pilot keeps scanning his instruments moving eyes from one to the other in specific order. 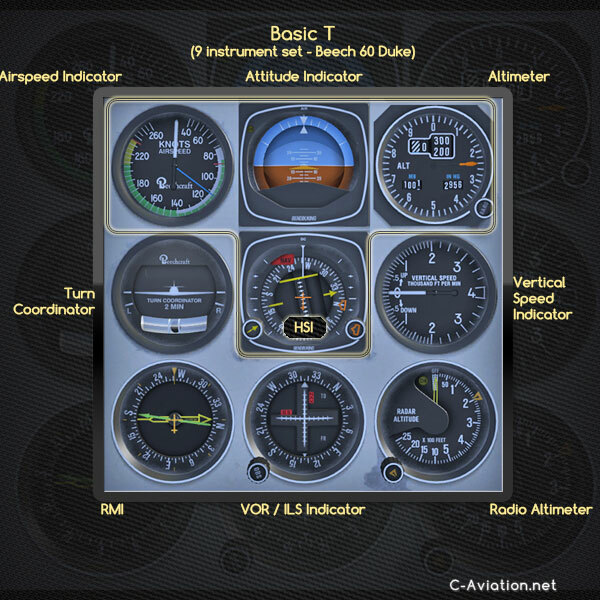 The basic rule is to go back and forth between the artificial horizon and any other instrument. 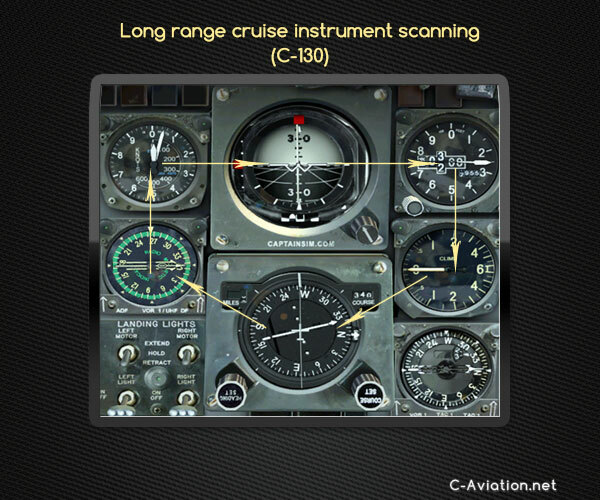 For longer flights (straight and level) it may be advisable to scan instruments in a circular pattern. This technique decreases fatigue. 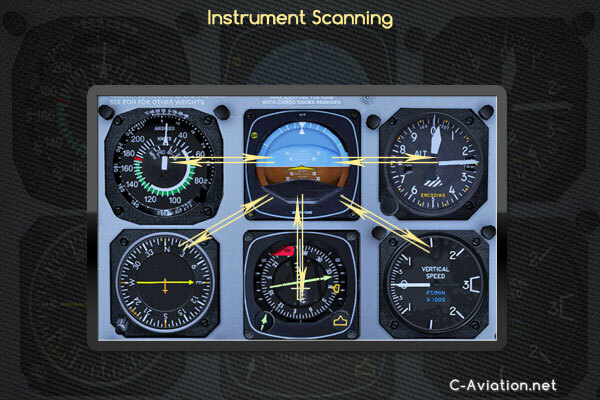 Advanced pilots may also be interested in AOPA’s 4 Step Instrument Scan techniques.